K-pop is often too hastily branded as being overwhelmingly bright and obnoxiously over the top as far as music videos go. While some videos certainly do still fit this stereotype, K-pop has evolved into so much more. Creating music videos has now become an art form in its own right. Whether it’s boy groups or girl groups, rappers or solo vocalists, badass or cutesy concepts, all of these videos have one commonality: they’re all gorgeous to look at and therefore visually appealing. While slightly less successful than her collaborations have been, Heize’s “Star” is truly a visual masterpiece. Set in a childlike bedroom floating through space, the video has a very ethereal glow to it. Everything from the singer/rapper’s wavy hair to her bedroom sparkling with nightlights of all kinds, is covered in a pastel haze and highlighted by glitter. It expresses the concept of solitude as well as the space theme in a subtle way without taking either aspect too far over the top. This gives the video a peaceful and simple feeling, which stands out even more through its contrast to the dark night sky in the background. Berry Good’s “Don’t Believe” marks the point where the group (finally!) took a step away from the overly cutesy concepts that they had done in the past with releases like “Love Letter” and “Angel.” Even though this video certainly doesn’t break any boundaries, it does give viewers something a little more interesting to look at other than girls dancing around in pretty white dresses. This includes the girls solemnly eating a meal of laceleaf flowers, rubber duckies floating in mysterious pink drinks, and watering cans raining pink paint. Very few of these elements make any sense regarding the meaning of the song, but that’s the beauty of an aesthetic based music video, they don’t have to. Even the Queen of K-pop Vocalists herself has fallen victim to the neon overload side of the genre with videos like “Don’t Touch Me” and “U&I.” As fun as these videos are, it’s always nice to see a more sleek and subdued side of Ailee like she presents in “Home.” From her luxe velvet outfits to the gilded mirrors to the marble statue heads, this video is nothing if not beautiful. Whether she’s dancing with her crew or writhing around in the water, Ailee gives off a distinctly vampiric vibe. The video is dark and sophisticated and lush, what’s not to love? Vixx has many interestingly filmed music videos, but “Chained Up” is one of the most well done. The rooftop shots as well as the close-ups of the members’ eyes bring a sophisticated beauty to the video that is often missing from boy group music videos. Lead vocal Ken’s setting stands out in particular. Surrounded by exotic flowers, this gives the video, otherwise draped in chains and metallic tones, a softer and more colorful side. Director GDW’s (Great Director Watanabe) devotion to the aesthetic of this video is clear to see by the amount of detail put into each scene. While the athletic football uniforms may be the most memorable part of EXO’s “Love Me Right,” it has so many other beautiful aspects to it that are often overlooked. Neon lit rooms, colored smoke, and snippets of grayscale filming just to name a few. The members show a sensitive and tender side to themselves in this video, that is while they’re not stalking around in football pads. The smoke and the nature shots give it an almost otherworldly feeling that makes viewers want to step right into it. B1A4’s “Sweet Girl” starts off in a retro club with the members prepared to start performing on the stage. It’s clear from that moment that this is going to be a much more aesthetically pleasing music video than some of their others. Each member has their own theme:, maknae Gongchan’s Prince Charming theme and lead dancer CNU’s magician theme, for example. While all of the settings are beautiful and very detailed in their own ways, leader Jinyoung and lead vocalist Sandeul’s themes stand out the most. Jinyoung’s gauzy and tropical Peter Pan-esque fort and Sandeul’s cotton candy wonderland truly shine in this video. 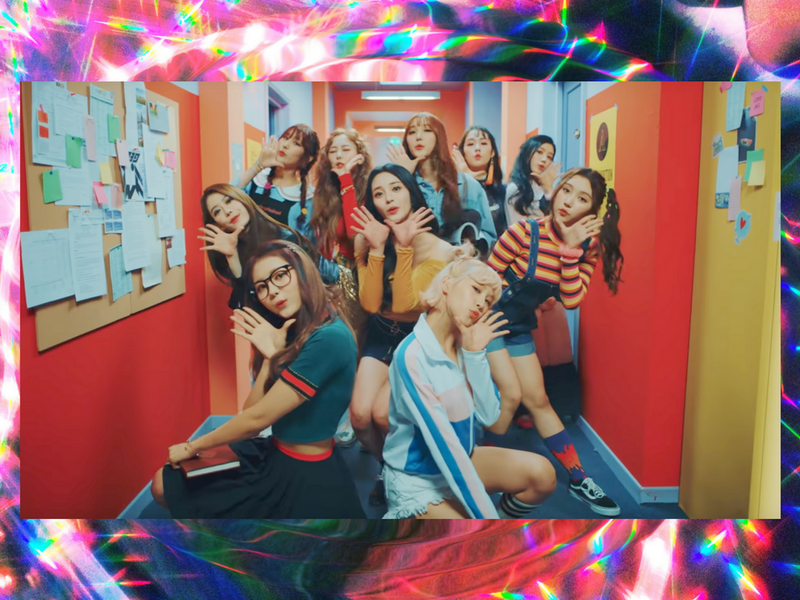 Formerly known as Pledis Girlz, the full 10 member group recently debuted under their new name Pristin with the bubbly single “Wee Woo.” In this video, the girls take the classic school girl concept and elevate it with unique aspects, like poster plastered walls, flashing police lights, and exploding milkshakes. What it lacks in cohesiveness, it makes up for with bright colors and pure playfulness. Scenes such as leader Nayoung’s indoor rain shower, vocalist Yuha’s neon exercise room, and sub vocalist Xiyeon’s ghostly visitor are what set this video apart from others sharing the same concept. Occasionally with his solo music, the leader and main rapper for Block B chooses to show fans a softer side of himself. Aesthetically similar to his video for “I Am You, You Are Me,” Zico’s newest release is a pastel dreamland that does not disappoint. The video has a minimalist design to it but the bright pastel color palette keeps it from coming off as stark and cold. The filming is what adds the most, aesthetically speaking, to the video. Birdseye views, profile shots, and even Zico filmed as if looking through binoculars all keep the video fresh and exciting as it frequently switches perspectives. Zico’s love interest is the focus for some of the most interesting scenes, from her being pelted with multi-colored ping pong balls to her knitting a sweater with oversized yarn. This video definitely takes more than one viewing to catch all of the beautiful little details. While most of their prior music videos followed the typical sweet schoolgirl concept, GFRIEND’s “Navillera” finally gives viewers a chance to see the girls in a new and unique setting. Being set in a retro roller rink gives it a vintage feeling without losing its freshness and youth. The video has a warm coffee colored tint to it, offset by the group’s soft pastel outfits. The filming focuses in on little details, such as the plaits in vocalist Yuju’s braids or the pleats in their skirts, which enhances the beauty of the video and shows how much focus was put into the aesthetic of it. Everything, from main dancer Sinbi polishing her trophies to the group sitting by the poolside to even the choreographed scenes, is arranged so that it’ll be the most visually pleasing to viewers. Korean rapper San E and Orange Caramel’s Raina released this junk food overload of a video a little less than a year ago. The main focus, however, isn’t so much on the two artists but rather on IOI’s Doyeon, who plays the main character. Aside from the hazy pinkness of the video, the most aesthetically pleasing aspect are the incredibly well shot scenes of all the delicious food Doyeon is devouring. Chocolate cake, cherries and whipped cream, sprinkle covered donuts; it all looks like you could reach through the screen and take a bite. The standout scene would have to be when Doyeon is shown eating food in reverse, a fun effect that is both a little unnerving and addicting to watch. As far as visually appealing videos go, this is not one to miss. Be careful though, multiple viewings of it may give you a cavity. Unpretty Rapstar Season 1 alum Kisum and soloist Jooyoung teamed up to make this irresistibly catchy song and the spring-like music video to go with it. The prettiest scenes in this video focus on rapper Kisum and her soft, ethereal beauty that’s accentuated by scenery filled with pastel colors. Whether she’s playing with bubbles on a private rooftop or listening to music on a set of school bleachers, normal and rather boring settings are given new life through fun colors and quirky props like bright yellow umbrellas and ice cream-shaped cellophane balloons. One scene in particular stands out near the end of the video, in which Kisum sits with a small flower held in her mouth while several water pistols are pointed at her head. Backed by any other song or displayed with any other color scheme, this would have come off as rather morbid but in this video it seems to fit perfectly. Up until “Shooting Love,” Laboum’s music videos had been low budget and rather low quality despite the potential they had. This was the video that finally allowed Laboum to shine to their full potential and used its unique visuals to catch and hold viewers’ attention. Everything from the settings to the members’ outfits and even their hair was colored in bright blues, vivid reds, and neon pinks. Bejeweled guns and flower-covered spyware turned these girls into deadly assassins with a cute, Kawaii flair. This design choice not only put a fun spin on the typical femme fatale concept, but it also added the visual appeal that their previous videos had so greatly lacked. What’s your favorite aesthetically pleasing K-pop music video? Let us know your picks and thoughts in the comment section below. 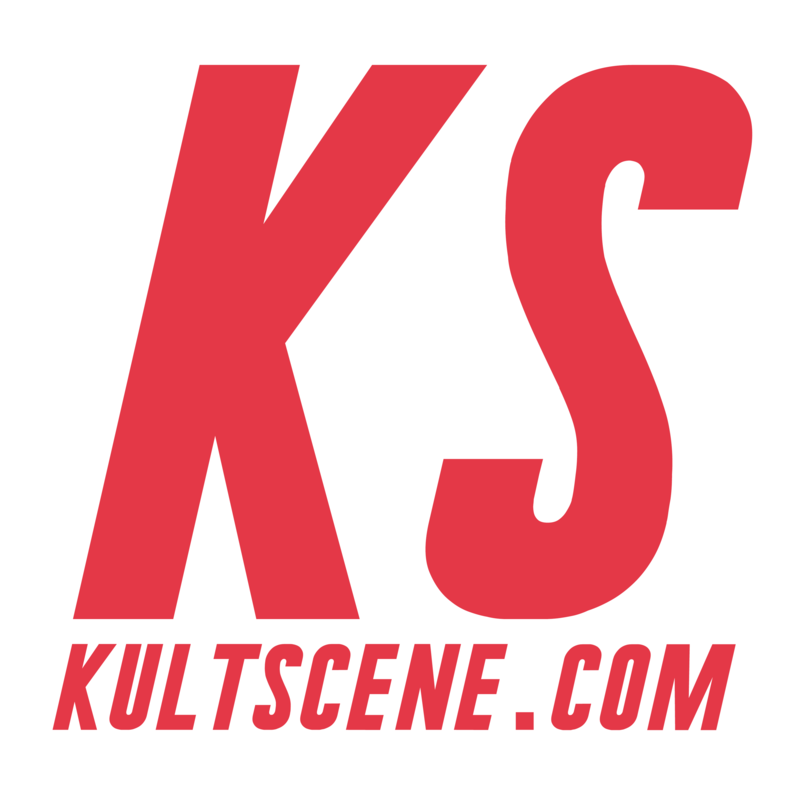 Be sure to subscribe to the site and follow us on Facebook, Twitter, Instagram, and Tumblr to keep up with all of our posts.